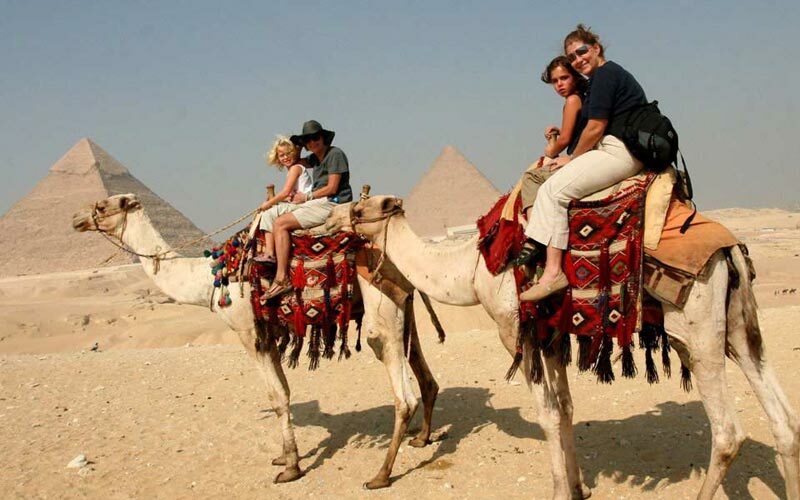 We have been using camel since ever there was no other meas of transport in the west India, it has become so famous in the Rajasthan, that every third tourist would like to have an experience of overnight trips by camel, safari to make journey more adventures. 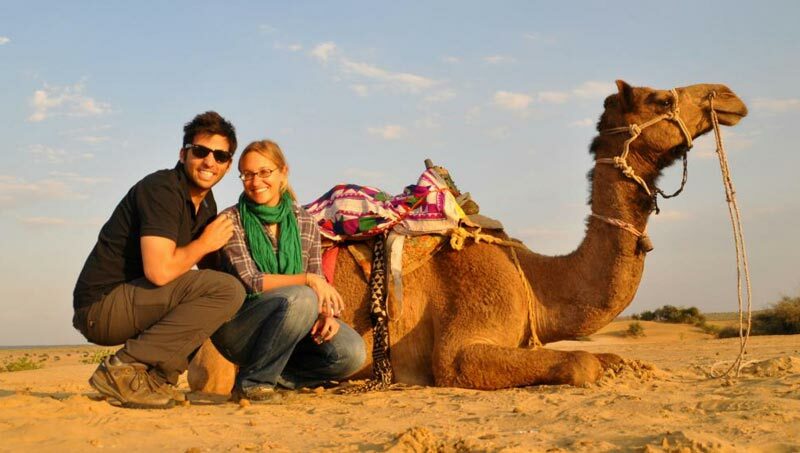 The Thar is a world of its own, an unending ocean of sand, dotted with dunes and patchly covered with shrubs with its own distinctive wildlife. 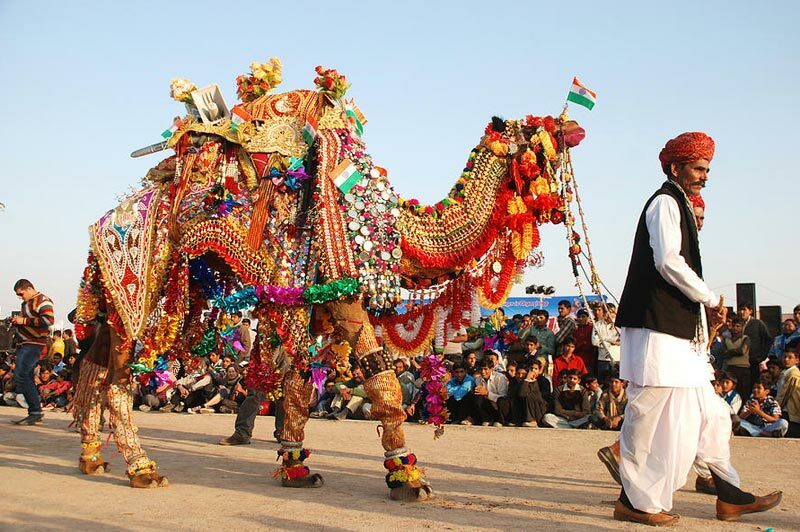 Foreign tourist enjoy the camps which are specially arranged for the travellers, serving traditional Rajasthani hygenic meals and with the company of warm-hearted Rajasthani people. 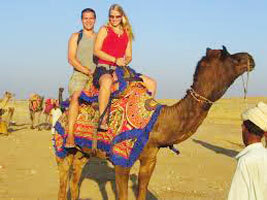 You have various option of the tour from a short safari through a typical Rajasthani village or a long-distance expedition lasting a few days. The best times for traveling is October till March. After visit Badabagh proceed for Ramkunda. Lunch at Ramkunda. 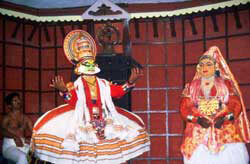 After lunch on the way visit Roopsi village and proceed for Luderwa. Dinner and over night at Luderwa in tented camp. 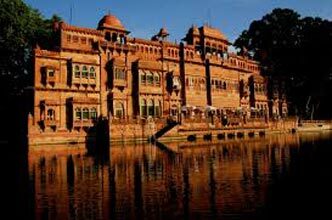 After visit, Amarsagar proceed for Jaisalmer. Lunch will be at Restaurant the Trio on fixed menu basis, on arrival check-in at Hotel.